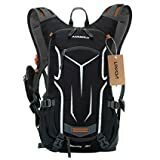 As a newbie mountain biker, I’ve never quite realized the need of buying a dedicated cycling backpack, until I signed up for my first long distance tour. Never repeated the same mistake again, and bought this Aquabourne waterproof lightweight dry cycling backpack. Three medium-to-long distance tours later, I highly recommend it to anyone. It is waterproof and showerproof, which is a must have when signing up for a longer bike tour, and weights an incredible 0.35 Kg. 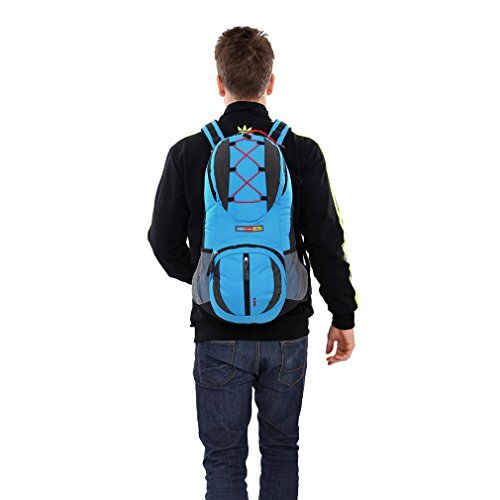 You’ll never even notice carrying this backpack unless you pack tight and bring along heavy items. Since taking this backpack along for my first tour, I’ve started using it for my work commute as well. It is incredibly light in weight, and the water container, though nicely isolated, still cools my back for the summer season if I decide to put ice-cold water inside. As for taking this baby to the mountain, it is more than convenient. The front mesh pocket allows you to carry dry fruit and protein bars, which is handy when you have them at an arm’s reach; and the water container makes all of the difference when cycling long hours. Now I cannot imagine stopping for a sip of water. This is how you stay hydrated, super energized, and save on both time and strength. The fact that it weighs less than 400 grams makes it incredibly easy to carry along and maneuver. The shoulder straps are super comfortable and extra padded, though the material allows air to pass through, so you won’t have to worry about heat. There is also an additional strap to secure the backpack in place, so it stays there no matter the terrain or your style of driving. 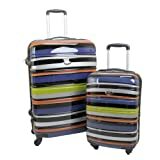 Customers, almost all of them, love the fact that the waterproof label earns its name. 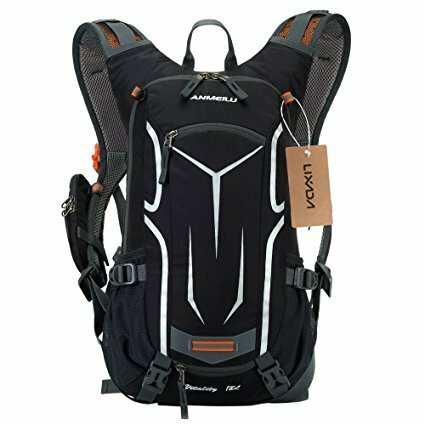 There are many reviews out of the 80 plus positive ones, which praise the fact that this Aquabourne waterproof lightweight dry cycling backpack can endure the harshest of rain seasons, keeping everything inside dry and secure. 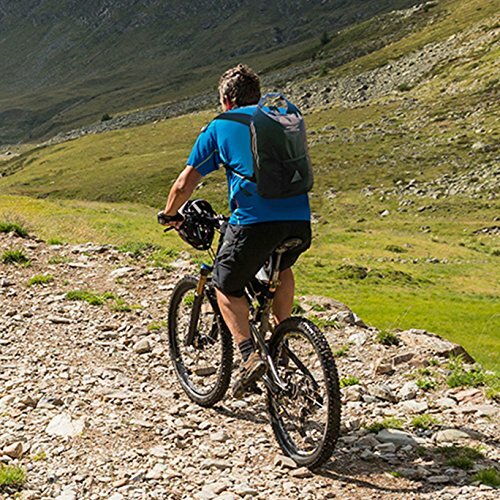 Regardless whether you are new into cycling or have years of experience, this backpack will change your cycling tours for the better. Even if you decide to use it for the commute to work, it will sit comfortably on your back, keep your items dry, and you won’t even notice the weight.